RadGridView has a GroupDescriptors property at the GridViewTemplate level which is exposed in RadGridView class for MasterTemplate instance. 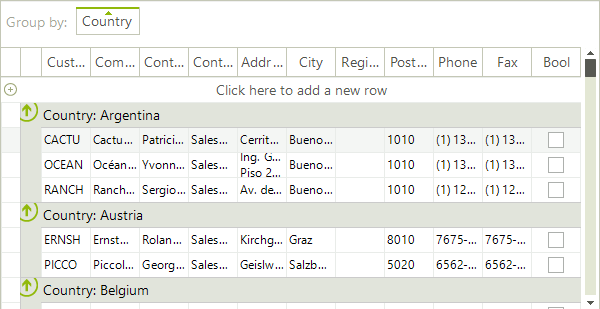 This collection allows you to use descriptors which define the grouping criteria and the group's sorting direction for the data that is bound to the RadGridView. As this is a collection, you are able not only to add, but to remove or clear its entries as well. Adding descriptors to the collection makes the current view display the items sorted and divided into groups. 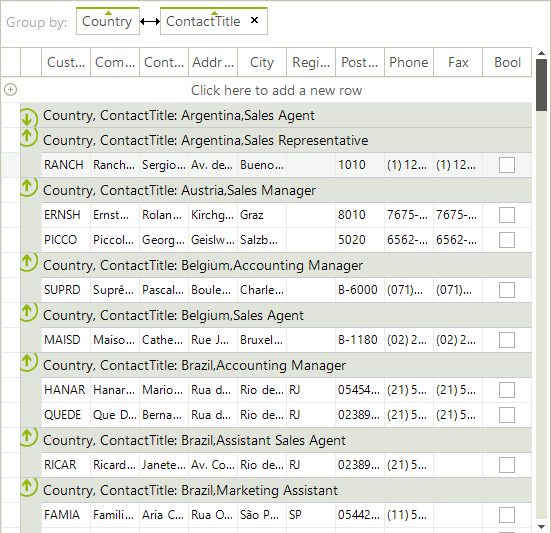 The GroupNames property defines the property, by which the data will be grouped. 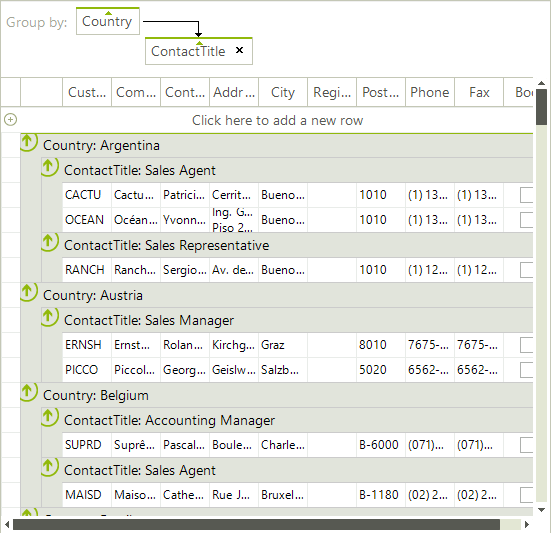 The GroupNames is a SortDescriptorCollection and defines group names for one grouping criteria.